At Christmas with our ladies at church we have an annual Christmas Cookie Exchange party. We bring presents for a family in need and have a wrapping party. When we bring the presents to that family we also give a bible and literature to them as well. Our Ladies look forward to this outreach! We offer a “Longest Night” service on Dec 21. It is for people who have suffered loss, are lonely or sad, or just feeling the stress of the season. It is a beautiful, comforting, hopeful candlelight service with a message of “light in the midst of darkness.” Each year, we get more and more community members who come to this service. It has struck a chord in our community, and is a wonderful Christmas outreach. Dear evangelist chris, sorry for you mother for died, about the christmas planing, we need the visitor from your church, we are planing the conference, to bless our people, for the end of year. Our church is in a small rural community but our attendance is 200-250 range. Our community does a Christmas Parade and we have a float in it each year. (Christian Theme with always with costuming) This year we are doing “HAPPY BIRTHDAY JESUS” with a party on the float and will be handing out to small children a decorated bag that includes a Jesus Birthday cupcake, pencil, wrist bracelets, etc. and will be folded over with Jesus Birthday stickers.We are also including a nice invitation to our Christmas Services and will be handing them out to the crowd on the streets as well. In years past, members of the church just walked behind the float in appropriate Biblical attire singing Christmas carols. This year we will walk along side the float and hand out a gift bag to the small children. We’re praying the Lord will use it to bless our community.PS. Forgot to mention that included in the gift bag is a Jesus Birthday Card that has a candy cane as the candle!! i am bablu kumar masih from kakari Indaso Ballia Uttarpradesh India 221711. 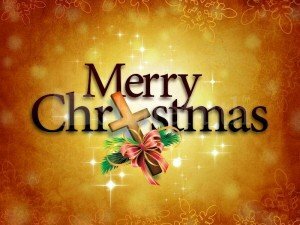 Christmas celebration is for us because we know the Lord Jesus christ.i well come all our listeners and visitors give thanks of the christmas day and who is don’t now the Lord Jesus Christ. These are some great ideas! Pastor Davis, if you could upload (or email, or post online) the card you are using, I would really appreciate it. I am leading the church where I serve as Interim Pastor to do a candy cane outreach during the town Christmas parade. We are giving the striped candy canes with an attached gospel presentation. One side has all the Christmas activities listed and information about the church schedule and the other, the gospel presentation. I can upload the card so you can see what it looks like if you want. We do a “It Stinks to Work on Christmas Eve” outreach event where we ask persons coming to our Christmas Eve services to sign up to bring baked goods (homemade or store bought). Beforehand we come up with a list of places where people are likely to be working on Christmas Eve- fire station, police station, rescue squad, nursing home, hospital, convenience stores, bars, etc. We then ask persons to bring the baked goods to one of these designated places. We usually put a small tag on the baked goods that says “We know it stinks to work on Christmas Eve, but we hope this small gift lifts your spirit this Christmas Eve and your experience the love of the Christ Child.” Like other servant evangelism events persons receiving the gifts are so thankful and surprised in many cases. Give away transparent tape and wrapping paper. Operate a child care area in a mall just during the Christmas shopping season. Christmas wonderland or other event. minute drama or song about the nativity. We put $5, 10 and $20 bills into envelopes and had our congregation give them to complete strangers and wish them a Merry Christmas. Do you have any other kind of information about your church or the gospel along with those small bills? How do you encourage conversation about faith during those blessings? Those are great local ideas. Thanks for stopping by and leaving a note!